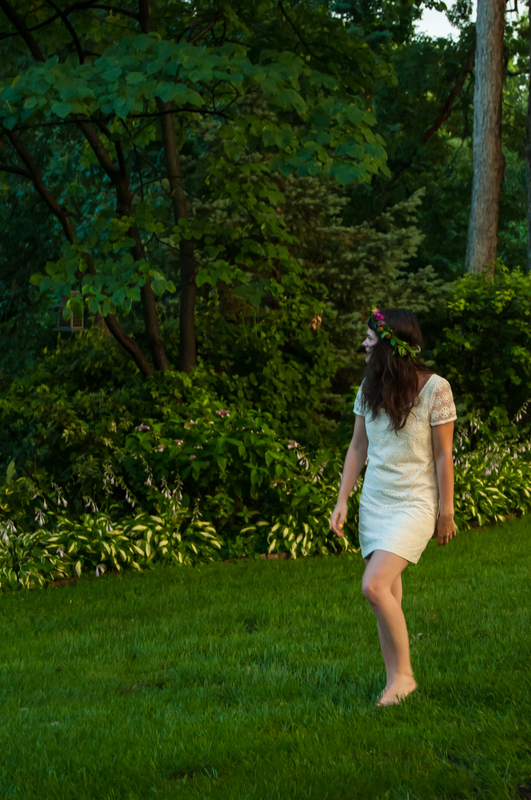 You guys get the urge to throw some flowers in your hair and prance around, right? Maybe that’s just me. 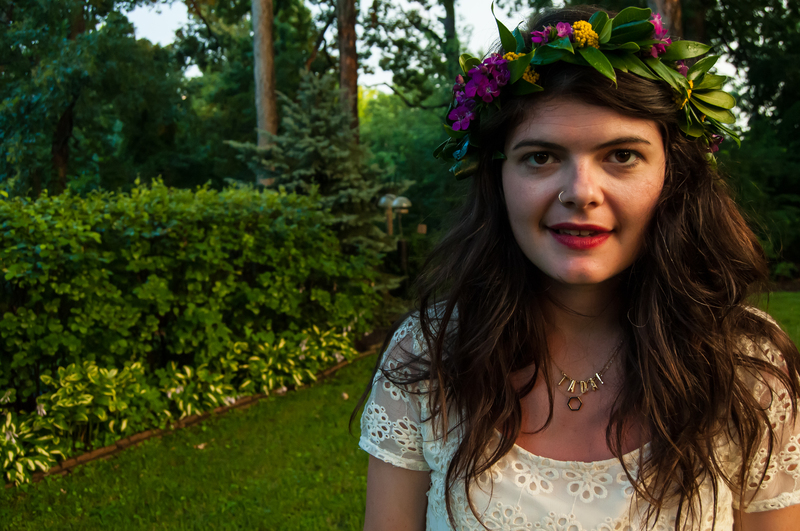 I’ll tell you this; Bridget made me a floral crown so gorgeous I wore it for three days straight. I just couldn’t take it off. 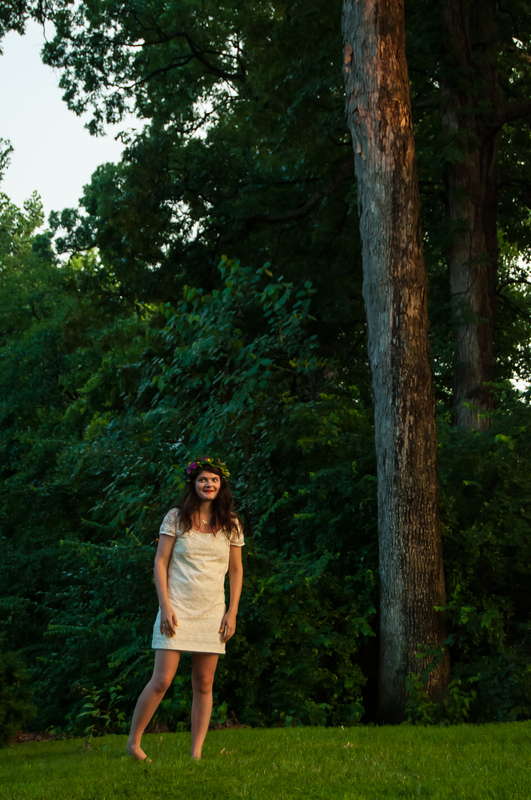 The look (prancing included) was inspired by A Midsummer Night’s Dream. Fun fact: I directed my high school production of A Midsummer Night’s Dream my senior year. Drama nerd. I wish we had fresh floral crowns this gorgeous during that performance. 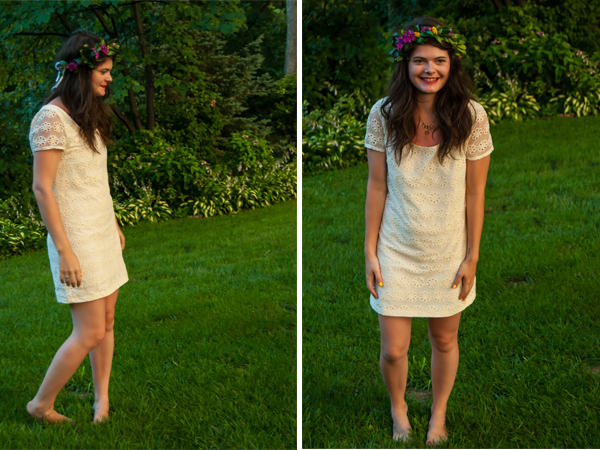 Wear it: prancing around (because that’s totally a thing you do). Very pretty, that flower crown is stunning!